A common directive that I hear in my role as a caregiver is that I need to take time to take care of myself. “But are you taking breaks? How are you taking time to care for your own needs?” they ask pointedly with laser eyes, brimming with a mixture of pity and wisdom. Here’s the deal: there is no time. This concept of “taking time” is not realistic. Do I skip a doctor’s appointment to go to the spa? Do I go to a yoga class instead of picking up medical supplies? Do I sleep less than I already do? Nope. Thanks for the concern, but taking separate time out from this already 24/7 position is unrealistic, especially considering that on top of this full-time job, I work full time and oh, yeah, do my best to raise a child who is transracially adopted, approaching puberty at warp speed, and dealing with a chronically ill father and a chronically tired mama. Well, let me tell you, this life of mine is as real as it gets. Below you'll find the first installment in a series all about the practical ways in which I'm creating sanctuary for myself on a daily basis. Take that laser eyes! I have found that if you buy dark colored yoga pants that flare at the bottom, they can play an important dual role in the life of a caregiver. 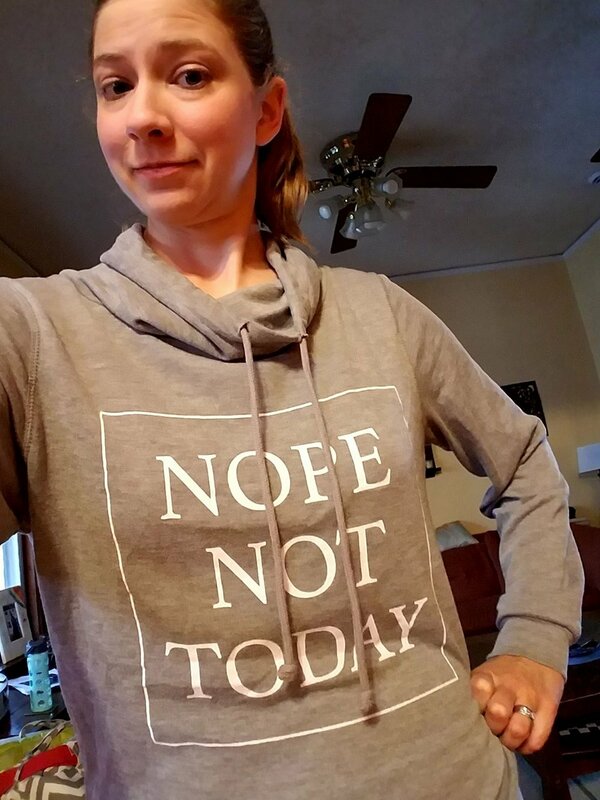 Add a shirt without words (see below for when to wear shirts with inspirational phrases), a flowy cardigan, and some ballet flats, and suddenly those cozy pants look downright professional. No one will be close enough to see the pilling happening on these, your favorite pair of pants, and hopefully you’ll be sitting in a ladylike enough way so that no one will see the ever-growing hole in an unfortunate spot. You look like you came right from a meeting, which you very well may have. The best part is, that when you’re in hour 3 of your partner being in surgery and you cannot sit up any longer, you slip off the ballet flats (so easy! ), wrap that cardigan around you (like a portable blanket! ), curl your legs under you (which you can totally do because you’re wearing yoga pants), and take a little snooze. Doing so will make time go faster and will almost guarantee that the phone will ring with a call from the operating room. Win-win! Plus, when you finally make it home after another long day, you’re already wearing your pajamas. You’re welcome. It must be said that leggings (featured here) are also a must, as they are interchangeable when the cozy pants mentioned above become too dirty to wear without being washed. Otherwise, the above picture is a stellar example of what I just described: perfectly professional and lovely (look at those elbow patches!) yet ready to nap at any moment. By the way, isn’t my family the cutest? We’re like The Wizard of Oz: Urology Department version! I’m not sure how this started, but at one point, people started buying me t-shirts with phrases (inspirational or otherwise) on them. This t-shirt is most often worn at home, although I have been known to wear it when I’m particularly fed up with hospital staff or even just the fact that we’re still in the hospital at all. The key then, is to wear it with above-mentioned flowy cardigan so it can be hidden when needed and more dramatically revealed (think hands on hips, holding sides of cardigan back so words can be more clearly seen), as seen above. Please note the use of eyebrows in this moment to highlight the text. These are an essential accessory. 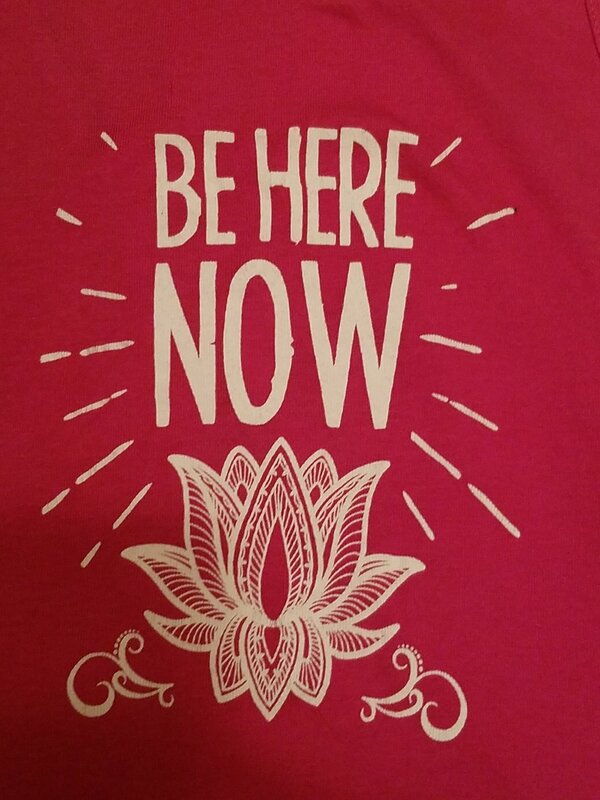 In addition to the snarky tees, there’s the line of Zen master fashion. These shirts are like carrying Deepak Chopra in a Baby Bjorn on my chest. Every time I trudge to the end of the long, bland, hospital hallway to use the bathroom, I glance in the mirror while washing my hands. 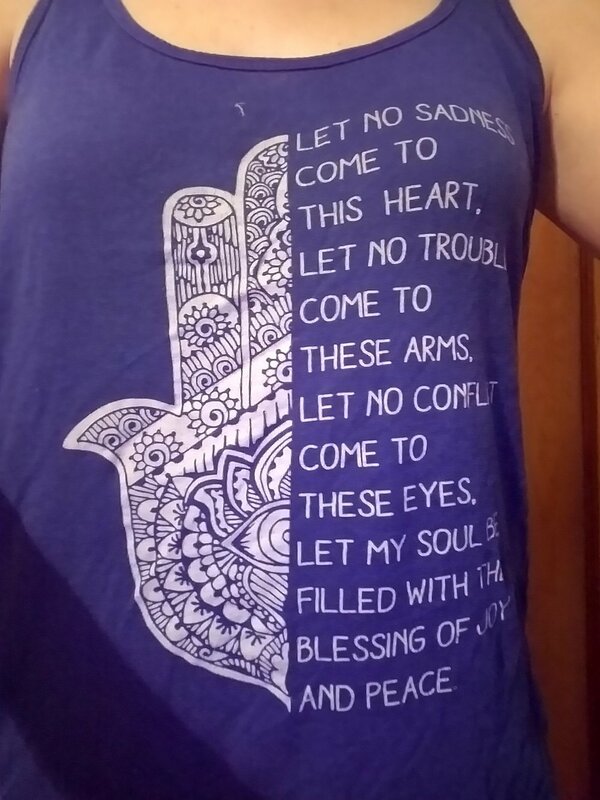 Once I get past the shock of the travel-sized bags hanging out under each of my eyes, I see the shirt, reminding me to be Zen. 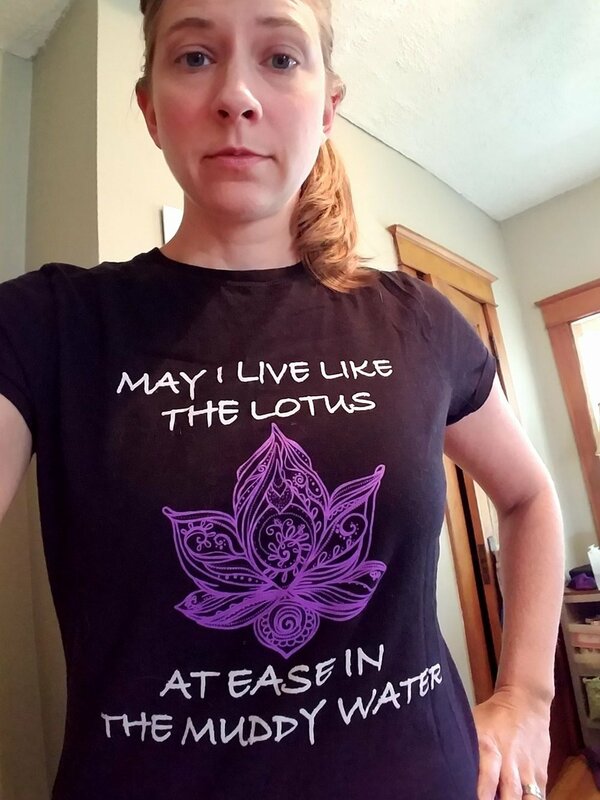 An added bonus of these Zen shirts is that they lull the staff into thinking that I am like a calm, loving, grateful lotus, which makes the shock when I, in no uncertain terms, hold them to only the highest standards, even more fun to watch. Here's what it boils down to. 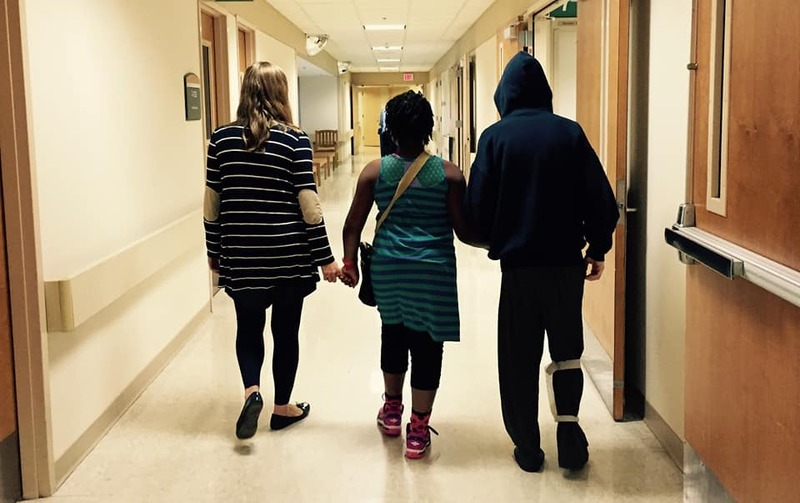 There are so many things in our daily lives that we, as caregivers, cannot control. I cannot control what the PET scan will show, but I can control what pants I wear. I can’t often get away to the spa for the day, but I can almost always put on a shirt.